We are steering the way to a more sustainable future after lowering our carbon emissions year-on-year for the last four years. We have reduced our total emissions by 26% over four years, cutting out 76 tons of CO2, despite the firm expanding from 117 to 154 people between 2010 and 2014. We intend to accelerate this further so we have replaced our petrol pool car with a new zero emissions, battery powered Nissan LEAF. 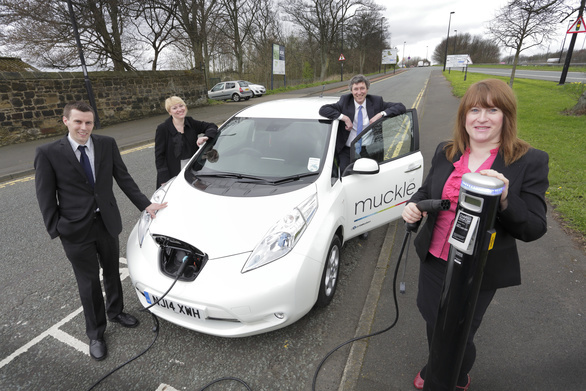 The battery-powered LEAF can be refuelled via a charging point at our office which the firm part-funded with a grant from North East Plugged In Places. Getting the LEAF is the latest of many changes in working practices that comprise our environmental efforts to incorporate greener working practices. We set up our Let’s Think Green Team (LTGT) from volunteers across the firm in 2007 to encourage, challenge and enthuse staff to care more about the environment. The role of the LTGT is to continually review the sustainability of Muckle’s business practices in order to identify areas for potential improvement. The team then encourages people at Muckle to actively participate in finding ways to live and work in a more sustainable manner. 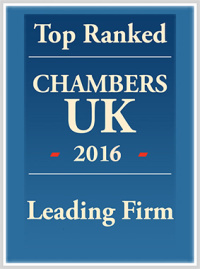 The involvement of everyone within Muckle has helped the law firm to achieve the environmental management ISO14001 accreditation and Muckle remains one of only a handful of law firms across the UK to have achieved this award. Muckle LLP has also been awarded the Go Smarter to Work Gold award this month (April 2014) for the firm’s ongoing commitment to encouraging sustainable travel. Initiatives so far have included introducing a corporate discount scheme for metro use, the Cycle to Work Scheme, a Drive Smart scheme to raise awareness of driving more sustainably, and a travel advice surgery. For more information on our green initiatives speak to Andrew Davison on 0191 211 7950.